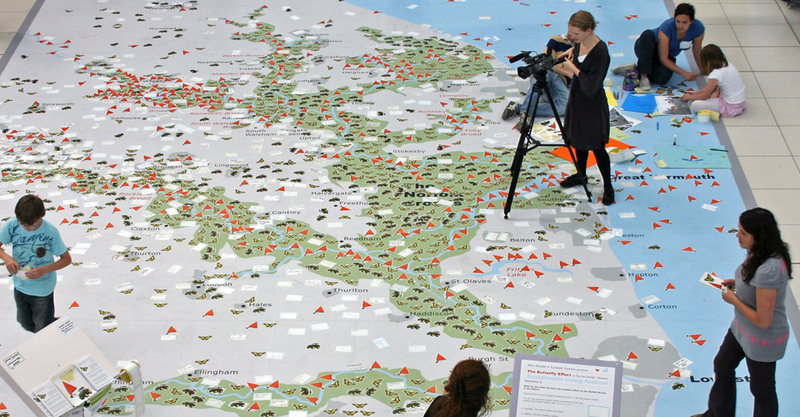 Creative Data is an initiative that uses design to unlock the story of data. 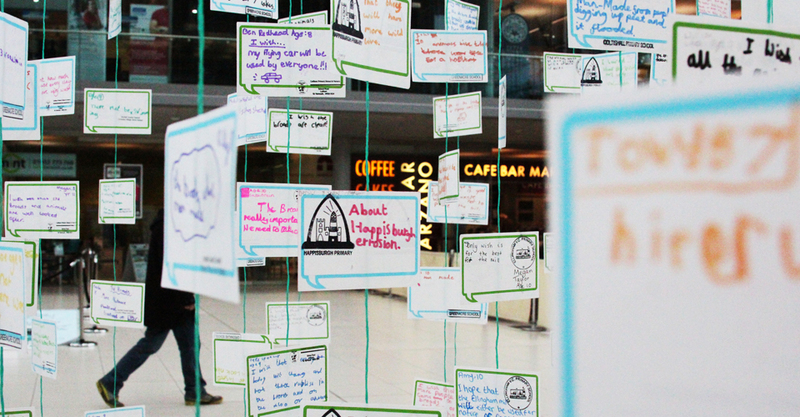 Its mission is to inspire positive behaviour change by focusing on local issues with global relevance. 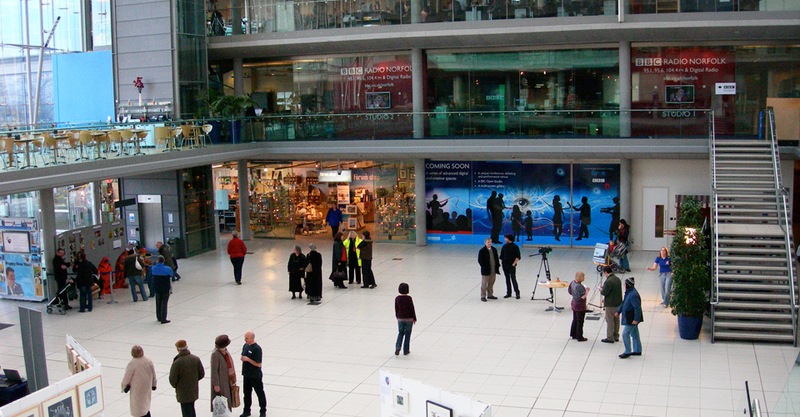 This happens through public design installations, exhibitions and creative learning programmes. 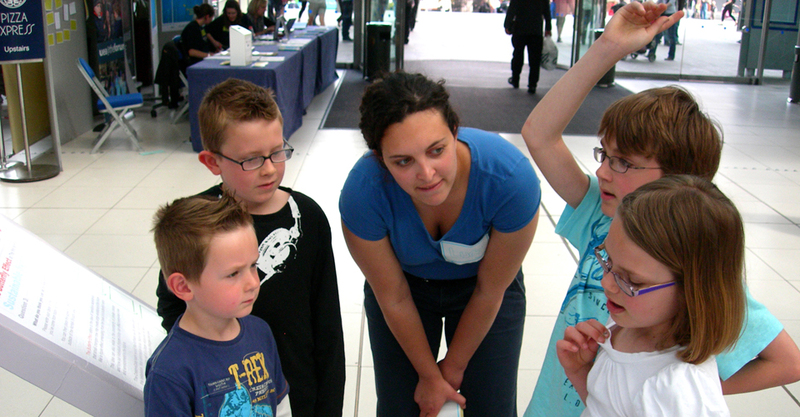 For these multimedia projects Leonora collaborates with scientists, communities and enterprise to raise awareness about our changing world and generate conversations about how society and the environment will need to adapt in the future. 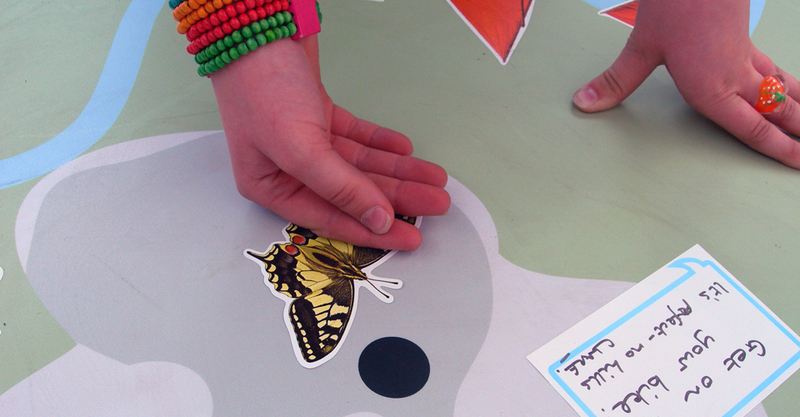 The Butterfly Effect is the pilot project for Creative Data. 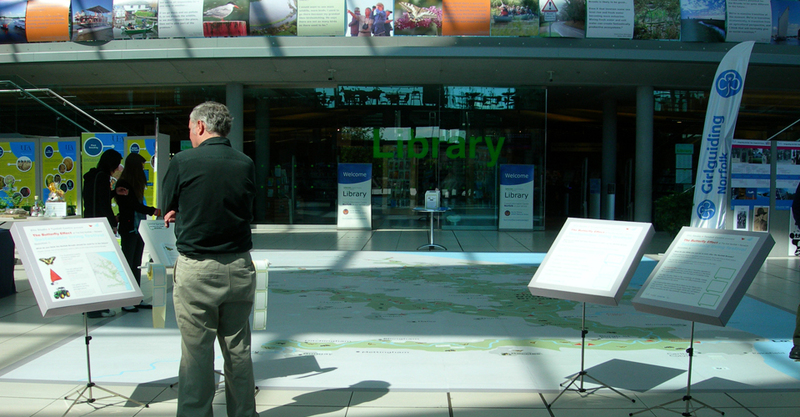 It focuses on the future of The Norfolk Broads and took part in two stages between 2009 and 2012. 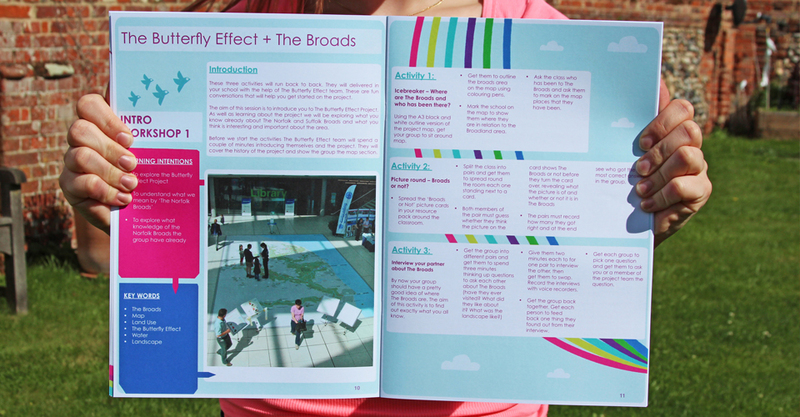 A collaboration with climate and social scientists at the University of East Anglia to produce creative manifestations of their work. 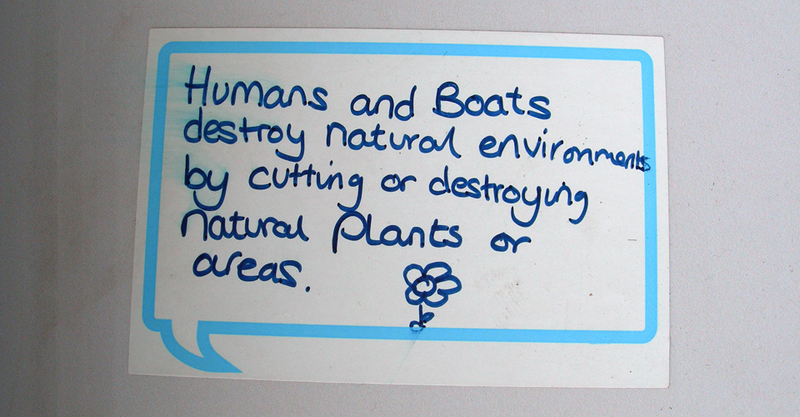 The aim was to encourage conversation and questions from the local community around the future of The Norfolk Broads . 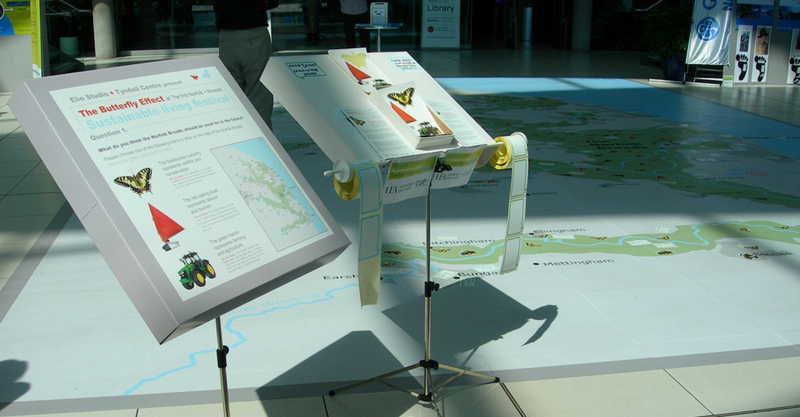 Using Paul Munday’s PhD thesis ‘Visualising Future Wetland Landscapes’ as a starting point The Butterfly Effect involved research into the concept of changing land use in The Broads in relation to future socio-economic scenarios and climate change. 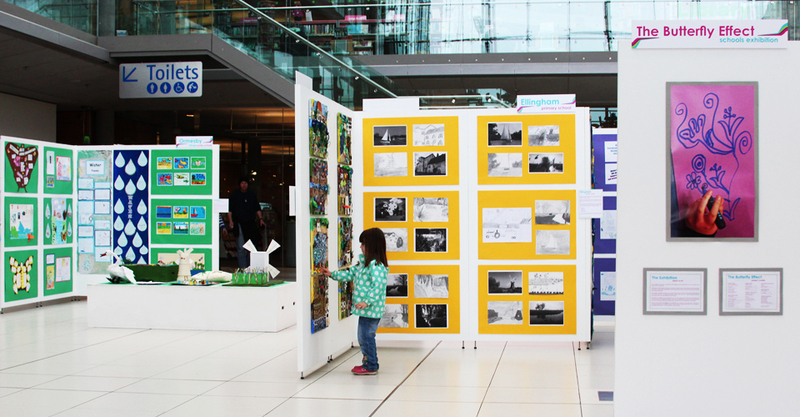 Through studying papers on the public’s perception of climate change, by social scientists Lorraine Whitmarsh and Saffron O’Neill, the themes of uncertainty, time and responsibility emerged and became the focus of the final design installation at the Sustainable Living Festival in Norwich’s Forum. 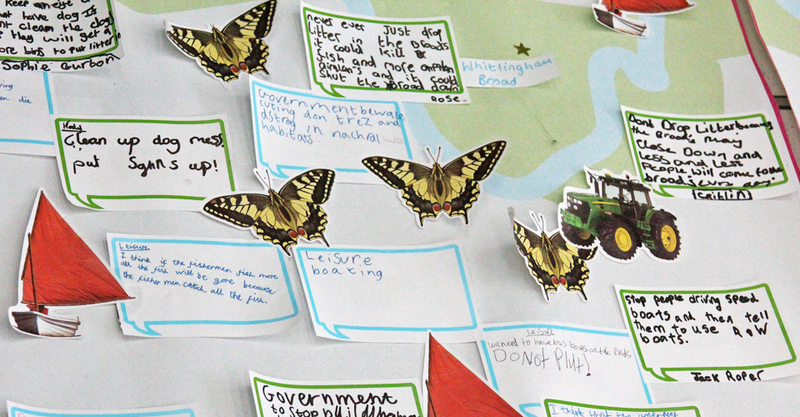 The Butterfly Effect was a visually powerful, interactive exhibit which invited visitors to find their own points of view on the future of The Broads. 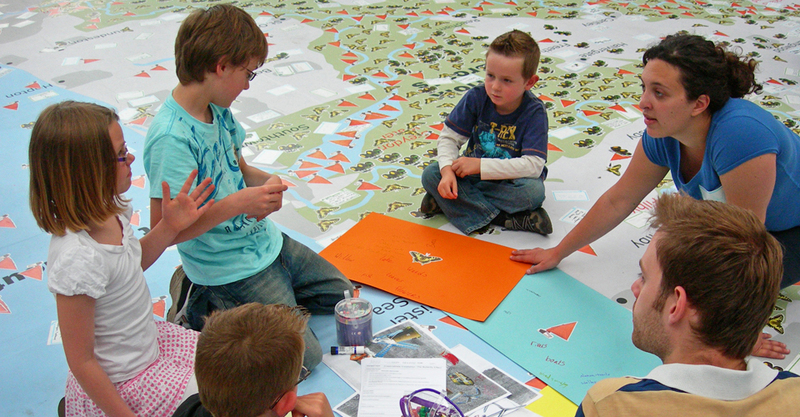 With the point of view that our personal choices help shape our future landscapes we invited people to come and contribute to our map of The Broads by sticking stickers on it that represented different land uses. 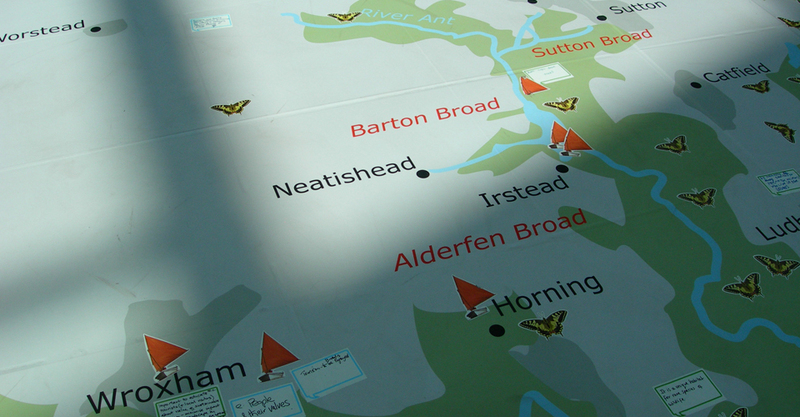 The map evolved daily as more and more stickers were added, creating a real time ‘butterfly effect’ over the week of the exhibition. 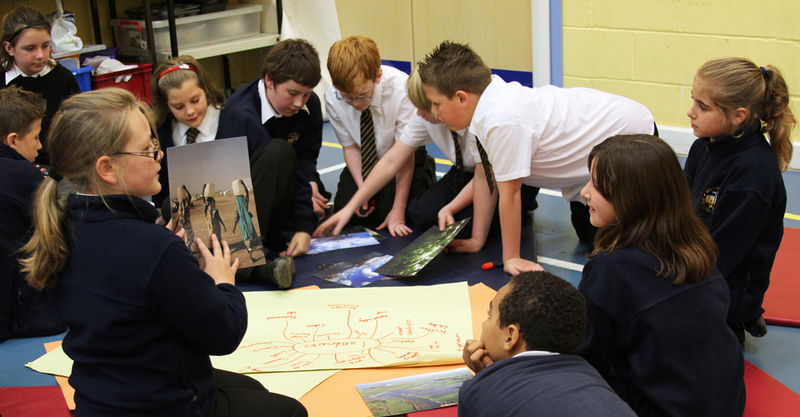 Primary School Children in Norfolk and their communities. 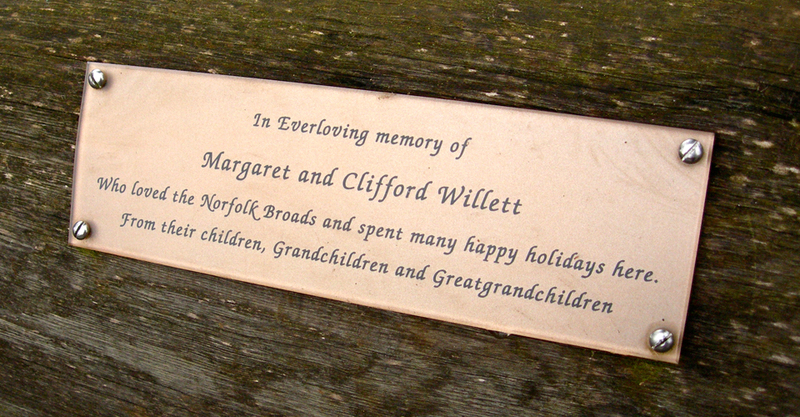 Sponsored by The Broads Authority Development Fund and Anglian Water. 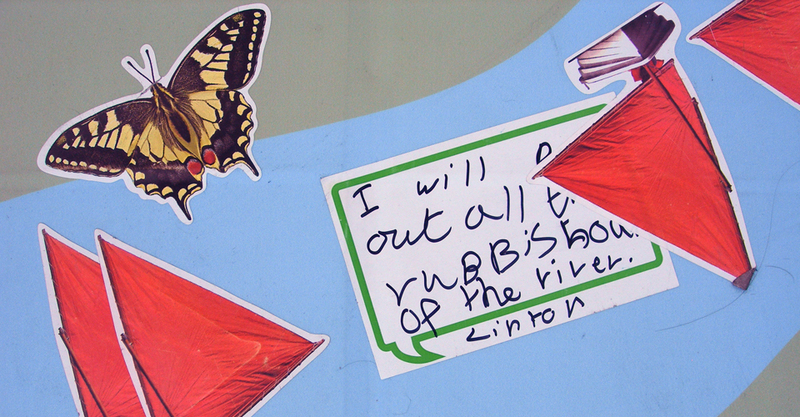 Use the materials from The Butterfly Effect installation to disseminate the project into the local community. 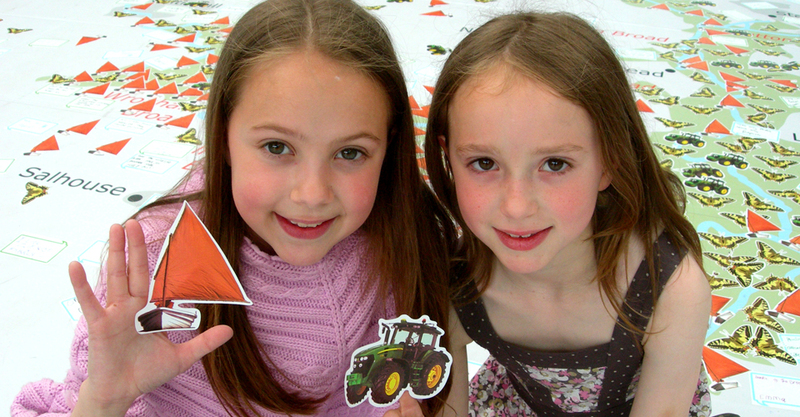 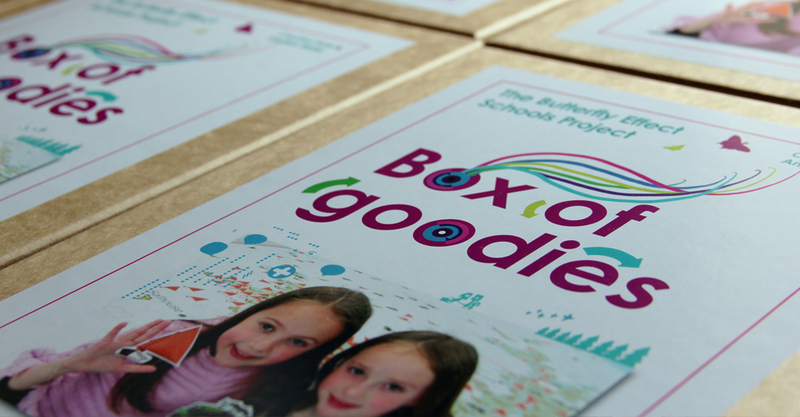 Design bespoke education packs with workshops and activities for 10 primary schools in Norfolk. 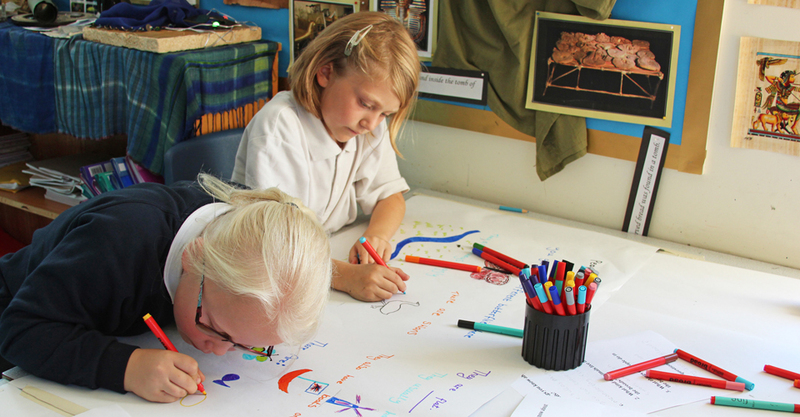 Develop network between schools for creative collaboration throughout project. 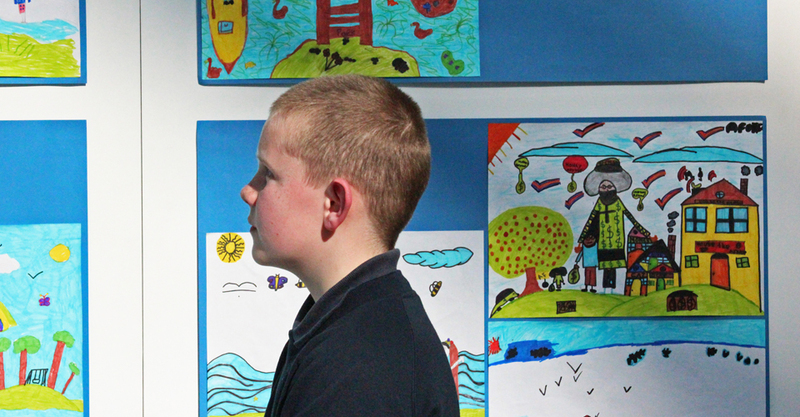 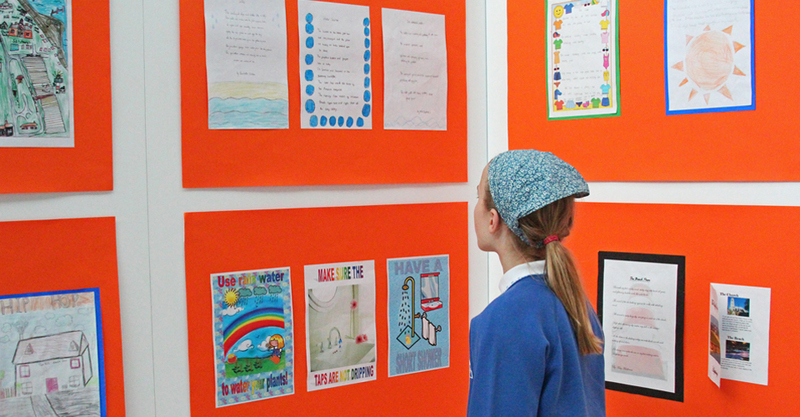 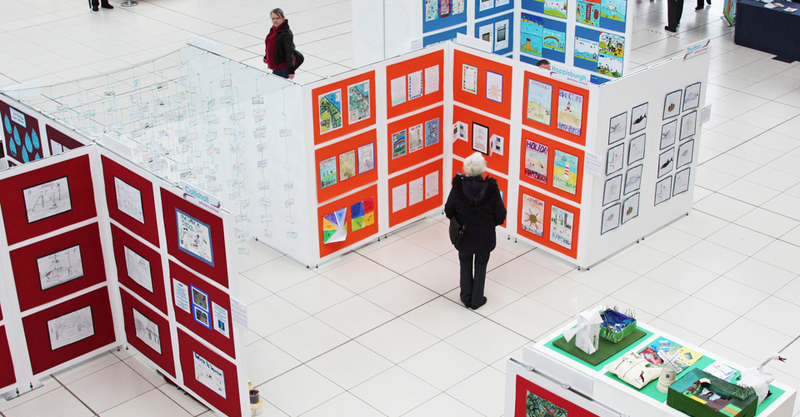 Bring the schools’ work together in a final exhibition to demonstrate the value, learning and reach of the project. 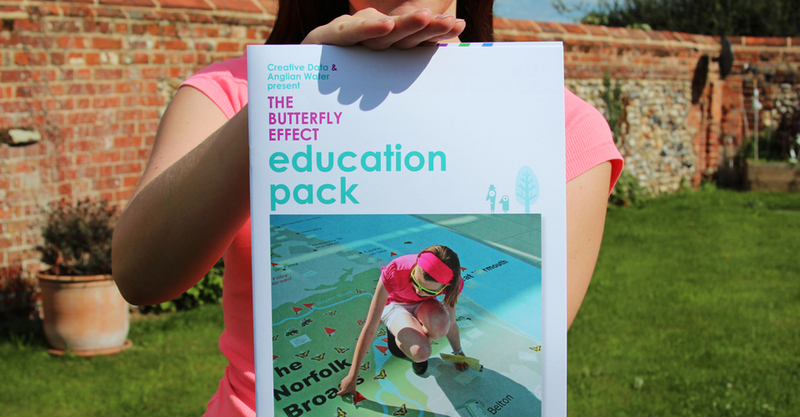 Working together with Lucy Rose who developed the workshop content, Elio Studio designed the bespoke education packs in consultation with the local education authority and the education team at Anglian Water. 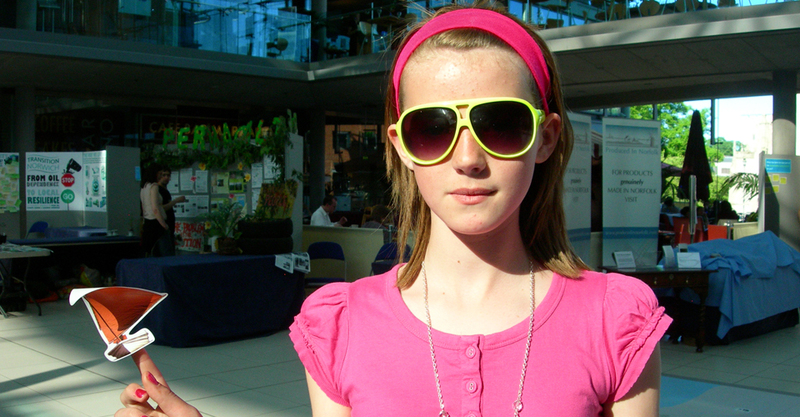 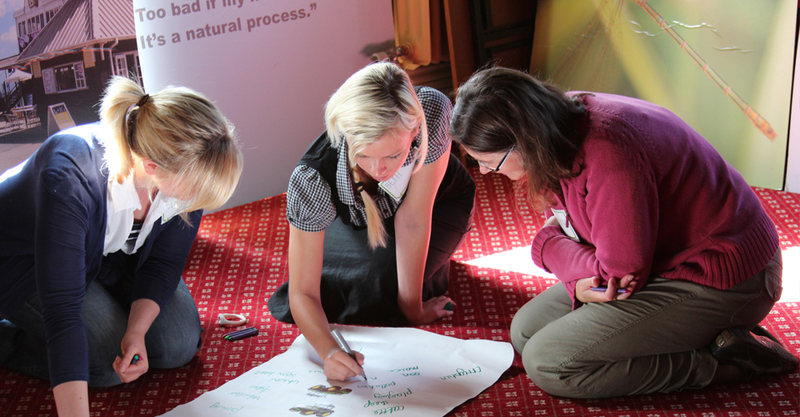 In September 2011 an INSET day was hosted by Anglian Water and directed by the Creative Data team. 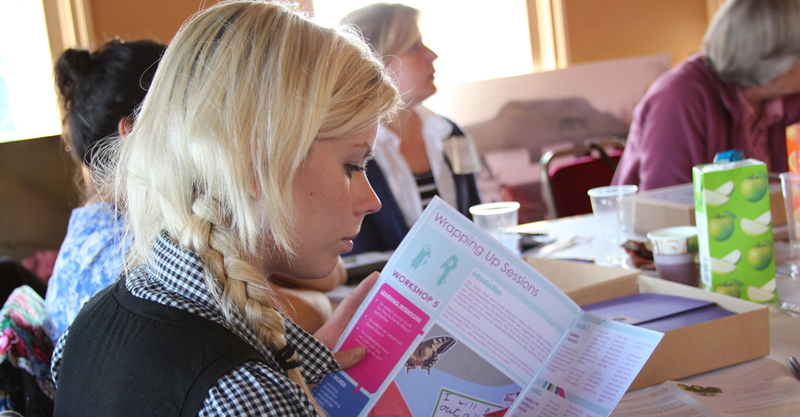 Ten teachers attended a dynamic day of workshops and at the end took away their education packs and map sections. 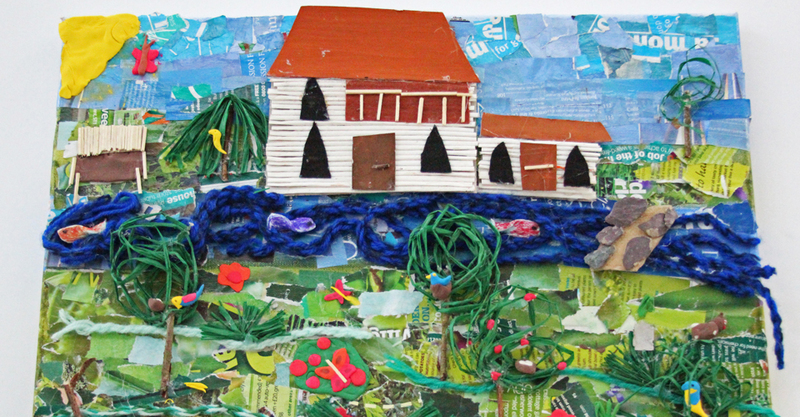 Now the Creative Data team is progressing with introductory workshops in each school and is looking forward to following the creative work on the future of The Broads that emerges from this collaborative project.